OSHKOSH, Wis. — Experts in Northeast Wisconsin say human trafficking is a issue happening right here in our cities. Damascus Road is one organization fighting to put an end to human trafficking and help victims. Damascus Road held a self defense class in Oshkosh called Street Smart Defender. "It's a strong belief of ours that nobody should have to live in fear. Nobody should have to be worried about being assaulted or stolen or bullied or exploited," said John Koeshall who taught the class. He said the class can empower people to understand they have the power to protect themselves and with that power, avoid unwanted situations. "It's just so important to be aware of your surroundings with different things that have been happening in our area that involve either abduction or just the heightened sense of security, personal security," said Terra Koslowski the outreach director for Damascus Road. 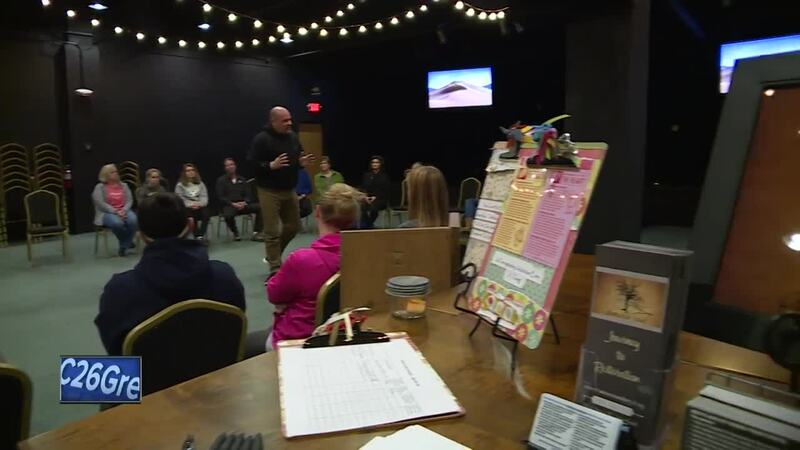 While experts said locally, victims aren't typically abducted, this class taught how to get out of uncomfortable situations, even ones that could lead to trafficking. The class teaches three different techniques. The first is the point, using your fingers to poke in the eye. The second is the door slam, using the palm of your hand to hit the side of the head. The third is the run upstairs, using your knee to hit the pelvic region. "Nobody has the right to hurt you. You can and should be able to protect yourself, and once you understand that and how easy that is to do, it empowers you to realize that you are very valuable. You are very important, and nobody has the right to hurt you or exploit you," said Koeshall.